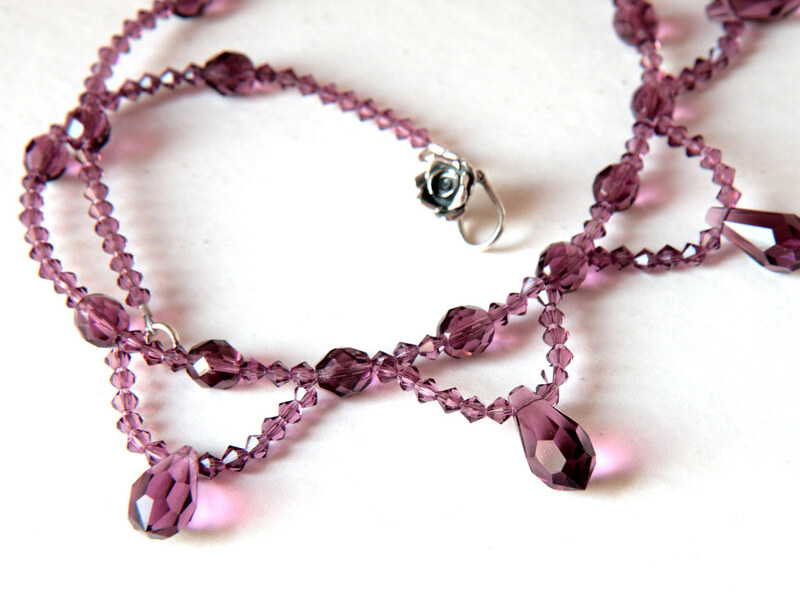 Handmade from amethyst coloured, faceted, Swarovski crystal beads that catch the light like nothing else. The design is inspired by elaborate and dramatic Baroque iconography, with a hint of elegant Victoriana. 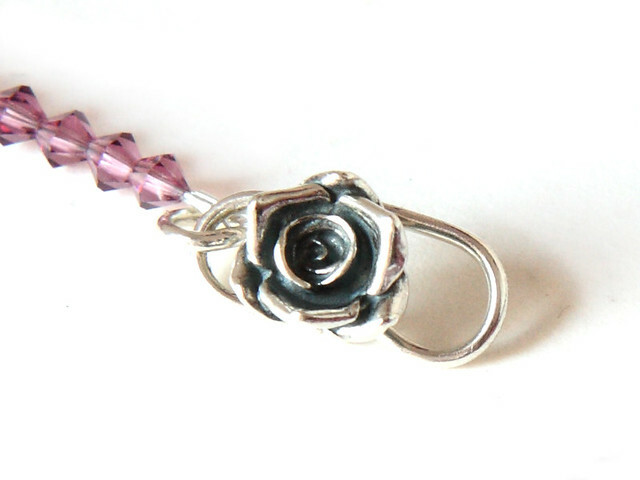 Sterling sliver rose-shaped clasp and findings. 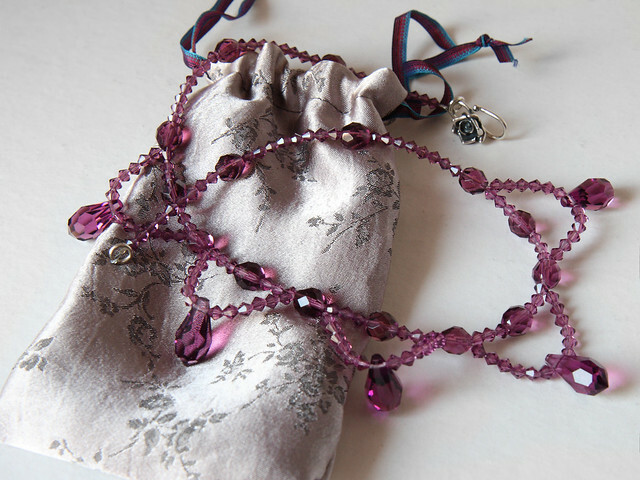 Comes with lined, satin brocade pouch.